The following story was written by the late Ray South, former historian, teacher and local councillor. We are grateful to the Windsor Local History Group for permission to include his article, which first appeared in 'Windlesora' No. 4 in 1985. 'Dad's Army' was one of the most popular of all British TV and radio programmes. It was often far-fetched. Yet it achieved a measure of credibility because it was a recognisable caricature of the real thing, the Home Guard during the Second World War. What follows is an attempt to record some of my experiences as a member of the Home Guard in Windsor during the last war. It is not a history, merely a few vivid recollections of what went on in a particular platoon ('E' Platoon) of a particular unit based on part of Clewer and Dedworth. The Home Guard was called into being during the critical days of May 1940 when the German overran Holland and Belgium and invaded France. We enrolled at the old Police Station in St Leonard's Road and were assigned to our appropriate local company. Some were veterans of the 1914-1918 War; a few, it was rumoured, had fought in the Boer War but kept their secret because there was an upper age limit of 65; some were in reserved occupations or were medically unfit for full military service; some were younger men awaiting their call-up. In the early days in particular, when enlistment remained largely voluntary, a camaraderie developed which outlasted the war. To begin with, arms and equipment were in short supply. By the time the Home Guard was no longer needed both were of a high standard. Officers too became more proficient as time went on. The first Windsor commanding officer was Sir George Crichton, who probably did go back to the Boer War. Sir George was later succeeded by Col. Reid, who was, unlike Sir George, both efficient and articulate. In the course of time the Home Guard became a trained professional force, but in the nature of things it was 'in the course of time'. The early weeks were dominated by the imminence of invasion. We had, in the short space of a few months, seen Poland, Denmark, Norway, Holland, Belgium and now France overcome by the Nazi blitzkriegs. Fifth columnists, parachutists, saboteurs - no one knew in what guise the enemy would first appear. One of our first operations was to construct a defensive barricade at the western end of the borough. Most of the present Windsor beyond The Wolf was then open country and our line of defence was based on Smith's Lane. We filled thousands of bags with earth - sand was not readily available - and built barricades and road-blocks whose mouldering remains could be seen for many years. While we worked feverishly to prepare to resist a German advance on Windsor from the direction of Bray, the Bray Home Guard, only a few hundred yards up the road, was similarly preparing to resist a German advance on Bray from the direction of Windsor. 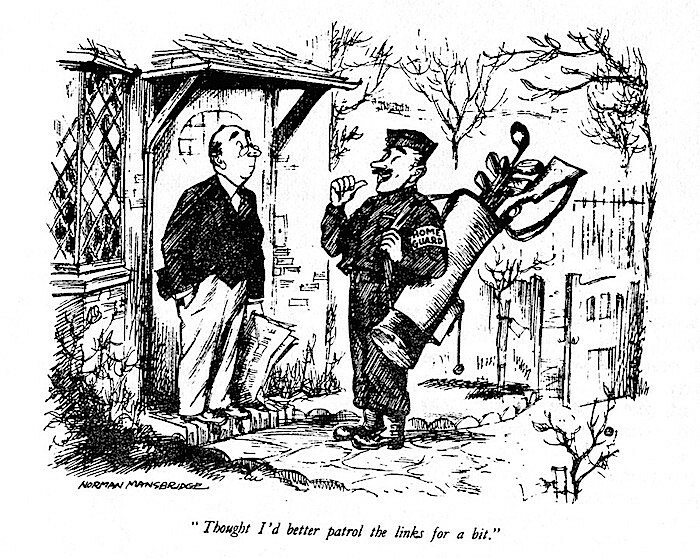 Much of the activity of the Home Guard in the early days seemed naively parochial - the first name of the Home Guard was in fact the Local Defence Volunteers. Our contacts with other units seemed minimal and even our relations with other local bodies such as the A.R.P. were distinctly distant. Night Patrols were another important form of activity. We normally went in pairs. My own favoured route was over St. Leonard's Hill. I can still remember the beauty of the pseudo-classical 'Ruins', ghostly in the moonlight. 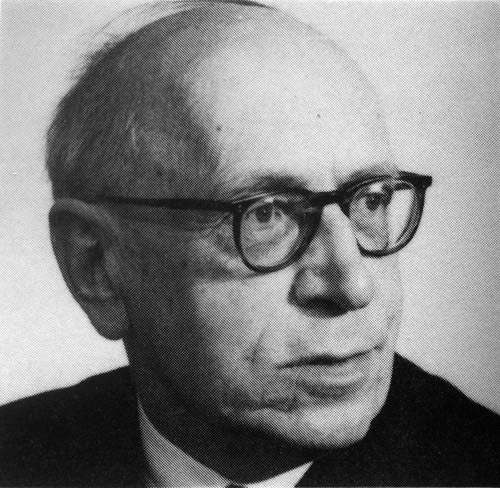 One of my companions was Jack Fairbrother, who later became a Professor of Physics. We had long political and philosophical discussions and would sometimes call in at home at 3 o'clock in the morning to consult books and check references. On the whole these patrols were uneventful, but there were low-down characters who sought fun by inspecting the identity cards of the amorous occupants of cars parked in out-of-the-way places. Some members of the platoon worked out a patrol based on a circuit of the pubs in our sector of Clewer and Dedworth. After all, where were spies more likely to be than in public houses where to eavesdrop on local gossip was obviously easy? These (the pubs) included the the Bricklayers Arms in Hatch Lane, the Prince Albert, the Sebastopol and the Wolf in Clewer Hill Road and the Black Horse and the Queen in Dedworth Road, with the Three Elms as the final port of call. Two of those on patrol on one occasion became a trifle too merry and let off their rifles (the ammunition fortunately was blank). This gave rise to an enquiry and discipline was accordingly tightened. Although our platoon had its training headquarters at St Katherine's Hall (now demolished) near Brickwall in Clarence Road, night patrols were based on the stables at Vale House (now also demolished). I remember one hot summer night, when the men had shed their uniforms and were immersed in a game of cards, Sir George and Col. Reid paid a surprise visit. Sir George was even less articulate than usual - to express it in more polite phraseology he was 'lost for words'. Indoor training sessions took place at St Katherine's Hall. Our sergeant, an ex-regular, would call us to order with a stentorian 'Get fell in there' and then we proceeded to go through the usual exercises such as 'naming of parts'. The correct identification of targets was another part of the training. Once I was asked to name a particular tree on the diagrammatic panorama displayed in front of us. Already a keen amateur naturalist, I volunteered the information that it was an oak tree, only to receive the crushing retort, "No, it ain't, it's a bushy-topped tree'. In such ways one learnt the logic of official nomenclature. Even the sergeant, however, knew that the most important thing of all was to finish well before closing time at the Three Elms. Occasionally we attended lectures. I remember one such at the old Playhouse Cinema by the Bridge. A tough Canadian, who had served in the International Brigade in the Spanish Civil War, demonstrated to us with the aid of a racy dialect how to make and use 'Molotov Cocktails' and other weapons of guerrilla warfare. The 'chair' was taken by Sir Owen Morshead, Commander of the Castle Home Guard and Royal Librarian, whose perfect diction matched his tall and aristocratic appearance. I was much more fascinated by the contrast between the Canadian rough-neck and the English gentlemen than I was in the technicalities of placing an incendiary device on the track of a German tank. We used many of the local open spaces f or training - sometimes the Great Park, sometimes the Imperial Service College (Haileybury) playing field in Imperial Road (where one of our officers, Capt. Mayhew, was a member of the staff at the School), sometimes the Racecourse. I can remember one horrific Sunday morning at the last when we practiced throwing live grenades, withdrawing the pins and hurling the grenades as far as possible and as quickly as possible while we ducked down in our trench. So far as I can recall, everyone survived - but it was a miracle. We had regular firing practice at the Range in the Great Park, but also had occasional trips on Sunday mornings by coach to Bisley where we received professional instruction. The standard of marksmanship of some Home Guardsmen was high, but this was not always true. I can remember the occasion when my neighbour, with five shots, found six holes in his target. I received a dark look. but it was one o'clock and the more important target was the pub on the way home which normally received our custom. Even for the Home Guard there were high days and holidays when with charitable purposes in mind we paraded through the main streets of the town amid the plaudits of the local population. Once we were inspected by King George VI in the Upper Ward of the Castle. The King had a wide knowledge of the commemorative ribbons worn on uniforms and used it in his questions to individual men. There came a time when those in authority realised that my own abilities were administrative rather than manual and I was promoted to the position of Quartermaster. When the danger of invasion passed and the Home Guard was disbanded, the duties of Quartermasters entailed recovering the many items of equipment which had been issued. Men readily parted with such items as gas masks and steel helmets, but haversacks and water bottles could have peace-time uses and were more difficult to recover. Nationally, a million and a half pounds worth of equipment had to be written off. The Duke of Wellington is traditionally reported as saying of some of his troops before the Battle of Waterloo, "I do not know what effect they will have on the enemy, but by God they frighten me." 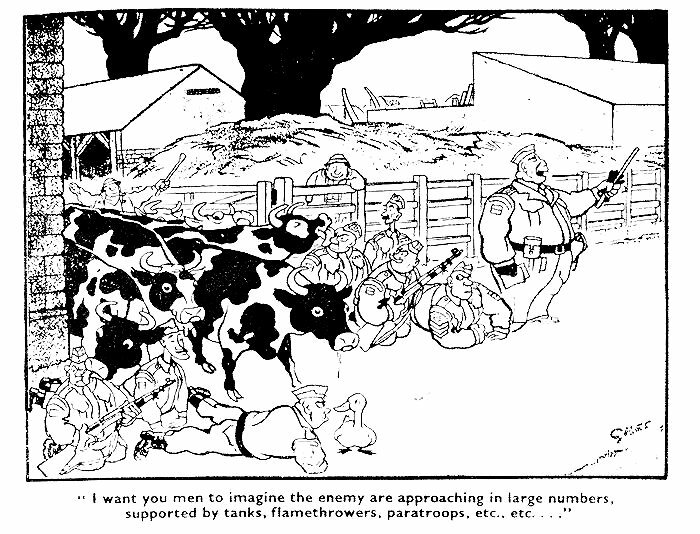 Perhaps some of those in positions of high command during the War held the same view of the Home Guard. What success the Home Guard would have had in impeding a Nazi invasion of Britain is doubtful. 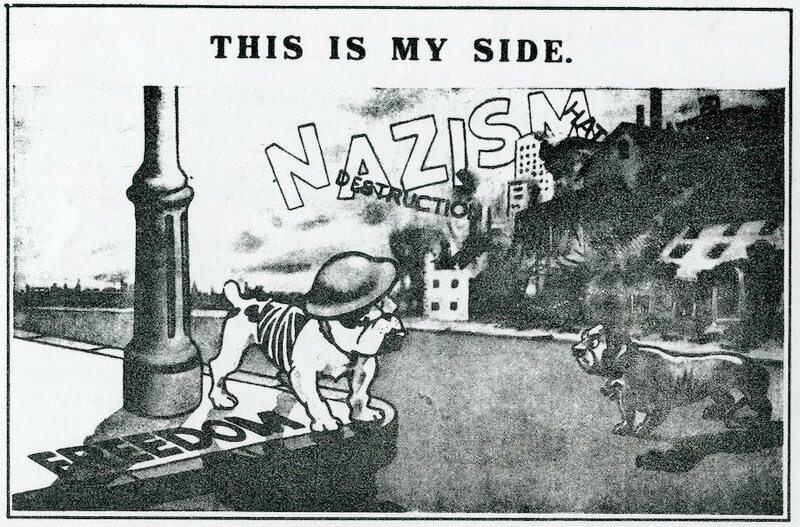 What is more certain is that if the Nazis had occupied Britain, members of the Home Guard would have formed the nucleus of a highly effective resistance movement. Fortunately, this was never put to the test. The R.A.F. saw to that. 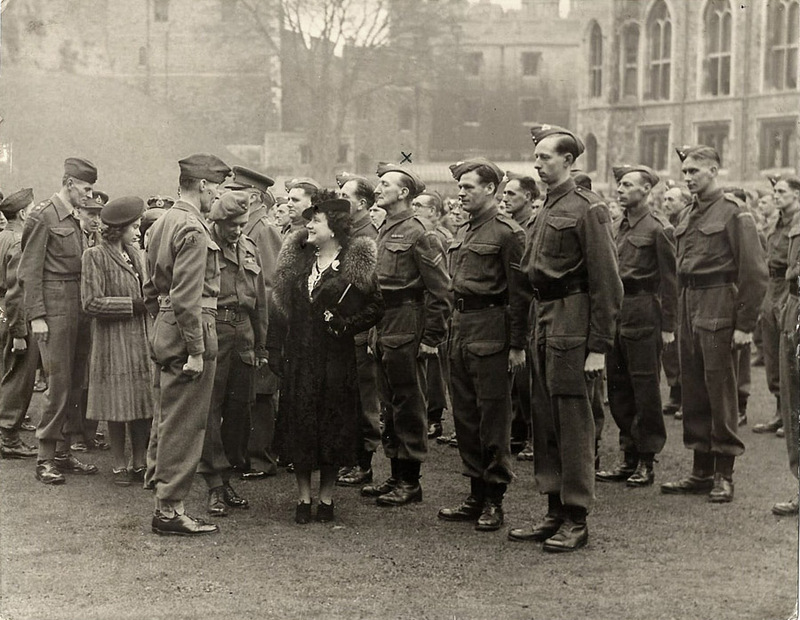 We are very grateful to Pamela Oldfield who has sent in this high quality photograph of the local Home Guard contingent being presented to HM Queen Elizabeth in the Engine Court, Windsor Castle, on 10 December 1944. Princess Elizabeth, who was to become Queen Elizabeth II in 1952, is seen in the Royal Party. Pamela Oldfield's grandfather, Frederick James Taylor, b. 1887, is in the parade and is marked with an 'x' just behind HM The Queen. He fought in the First World War and lived in Prince Consort Cottages at no.21, on the south side, in the 1930s.